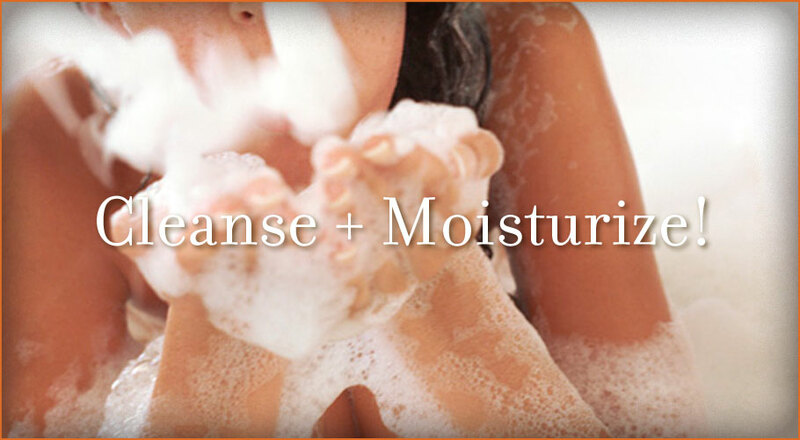 Let’s start with the basics, cleansing & moisturizing your skin. I’m a huge advocate of proper cleansing & twice per day – morning and night – for healthy skin. Selecting the best cleanser & moisturizer for your skin type is key. Please don’t buy products because they are on sale if they’re not formulated to serve your skin’s specific needs. Oily skin tends to break out more, and often long after puberty has run its course. My skin was clear and smooth with invisible pores until my early 20s, when acne struck and I suddenly couldn’t go an hour without turning into an oil slick. Proper cleansing for oily skin is crucial to combat the overproduction of sebum [skin’s natural oil] and acne control. Don’t confuse oily skin with combination skin, which has its oily AND dry areas. Nope, truly oily skin is oily everywhere and often. Believe me, if you fit this skin type, you can definitely tell the difference. The best cleanser for oily skin is a foaming gel cleanser. Lather helps break down sebum and the foam won’t leave any oil behind the way creamy cleansers do, which makes gel a better choice when battling oily, acneic skin. The best moisturizer for oily skin is oil-free lotions NOT creams. Often, women assume that because they have oily skin, they’re better off skipping moisturizer entirely. Not true. This will cause skin to feel dehydrated and it will compensate by producing even more oil! By using an oil-free formula, you’re making your skin think it’s getting enough moisture. Oil free lotion also functions similar to a primer to even your texture so foundation goes on smoothly, which helps makeup last longer. To help with a smoother texture and softer appearance, apply an alpha hydroxy acid based lotion [ONLY at night] to exfoliate skin and clear out pores with consistent use. Adopt this basic regimen for four weeks and you’ll notice softer, smoother skin and fewer breakouts. This entry was posted on November 12, 2013 by suite7beautytalk in SKINCARE, Types and tagged Oily skin, Skin Types, Skincare Basics.